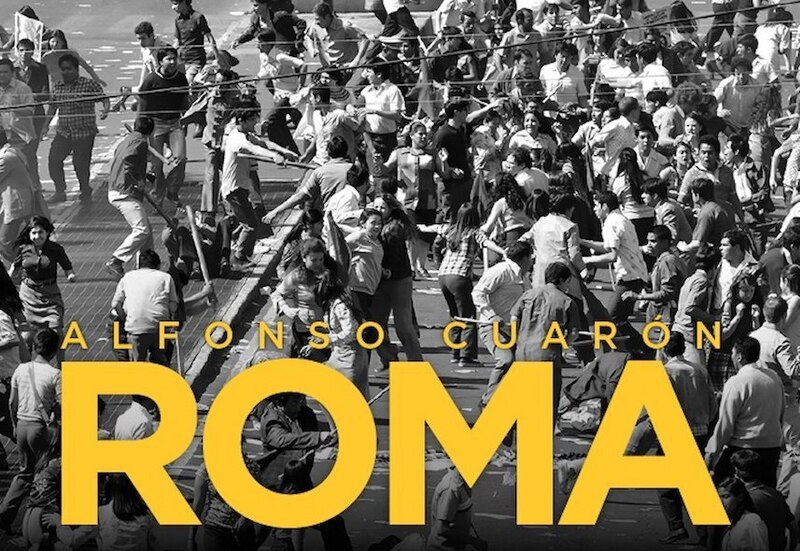 This week in the Potterverse has been a success all round, as we celebrated ten Academy Award nominations for Alfonso Cuarón’s Roma and a nomination for Alexandre Desplat, and Cursed Child even made TIME’s list of Ten Best Plays. We also received the news that Warner Bros Studio Tour London had something very special planned for Potter fans (their ‘biggest surprise yet’, in fact! 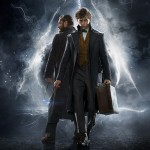 ), more Funko figures were revealed in time for London Toy Fair, and we released an interview with the producer of Pottermore Publishing and Audible’s Crimes of Grindelwald behind the scenes audio documentary, Fantastic Beasts: The Crimes of Grindelwald – Makers, Mysteries and Magic. Barnes & Noble also revealed that they would be offering exclusive digital content of Nicolas Flamel with their release of Crimes of Grindelwald! 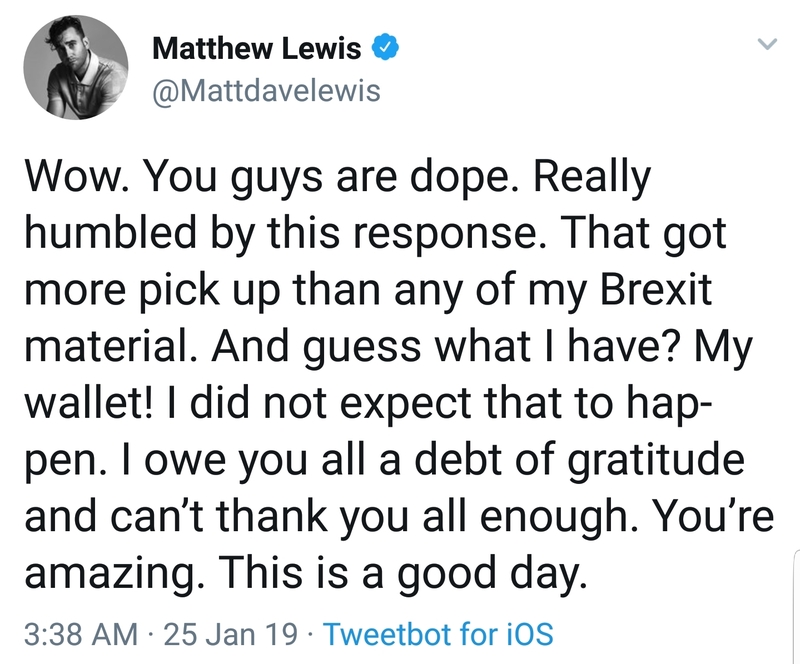 Our round-up shares updates on wins from the National Television Awards, the launch of David Tennant’s podcast, a new YouTube series starring Matthew Lewis, an Indie film starring Christian Coulson and a first look at Helena Bonham Carter in season 3 of The Crown. We also see Evanna Lynch and Bonnie Wright sign on to Comic Con Brussels, and Evanna taking part in the Women’s March in London with fellow Potter alumni, Katie Leung and Scarlett Byrne, a new photo of Jude Law in Captain Marvel from Empire magazine, Late Night with Emma Thompson premieres at Sundance, new trailers for Julie Walters and Ralph Fiennes, an album inspired by Alfonso Cuarón’s Roma and more! A new seven-part YouTube series made its debut this month, telling the story of a food blogger suffering with an eating disorder. Matthew Lewis (Neville Longbottom) stars in a two-part special of the series, Nutritiously Nicola and the Celebrity Client, and it’s absolutely filled with references to Harry Potter. Upon being discharged from an NHS facility and trying to find a job, Nicola, the show’s main character, finds herself trying her hand at being a food blogger, running into the challenges of ‘living her best life’ and the pressures of Instagram and the internet. The story is inspired by creator and writer Natalie Bray’s own 15-year battle with an eating disorder – the dark comedy is Bray’s response to the rise of the clean eating movement. Matthew Lewis (Neville Longbottom) stars in a two-part special of the series, Nutritiously Nicola and the Celebrity Client, filled with references to Harry Potter. 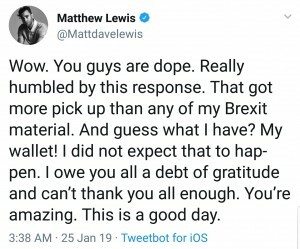 Throughout the episodes, Lewis’s ‘character’ comments on the pressures of the acting industry and his experience of audition processes calling for male stars to be ‘buff’. Watch the episodes below, and read more here. When asked if there were any real life talk show hosts that she had in mind when portraying her character she disclosed that she drew a lot from David Letterman since there are no women hosts in late night to base her on. The wide release date for Late Night has yet to be announced but this definitely looks like a film to watch for next awards season. Congratulations to Dame Emma Thompson! Helena Bonham Carter (Bellatrix Lestrange) was spotted over the last week on an airfield in London filming the third season of Netflix series The Crown with Olivia Coleman. 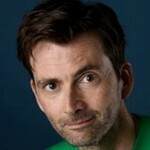 Carter will portray Princess Margaret, . Read more here. Evanna Lynch (Luna Lovegood) and Bonnie Wright (Ginny Weasley) are both on the guest list for Comic Con Brussels this year, taking place 2nd-3rd March. The Potter alumni are both Lumos ambassadors, and previously visited Haiti together to see the work of J.K. Rowling’s charity. Let us know if you’ll be attending! The 2019 Women’s March took place on January 19th, seeing thousands of people in Washington D.C, and global locations from Berlin to London congregating to stand up for the rights of women worldwide. 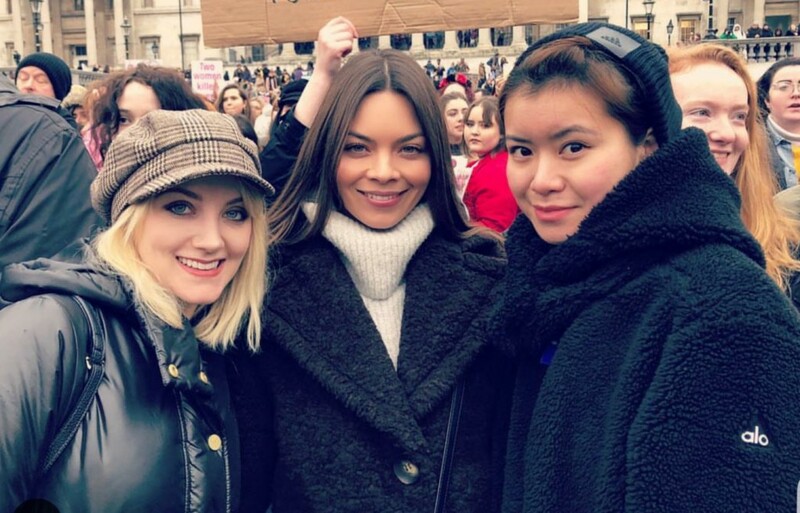 Evanna Lynch, Katie Leung (Cho Chang) and Scarlett Byrne (Pansy Parkinson) stood together in London to mark the event – take a look below, and see more of the march here. This week the annual National Television Awards took place, and Victoria Yeates (Bunty in Crimes of Grindelwald) was in attendance. Helen McCrory (Narcissa Malfoy) had a starring role in Peaky Blinders, which was up against Yeates’s Call The Midwife for Best Drama, with Peaky Blinders being crowned winner at the awards ceremony on Tuesday. Fiona Shaw’s Killing Eve was also up for Best New Drama, along with Girlfriends, starring Miranda Richardson (Rita Skeeter) and Zoë Wanamaker (Madam Hooch), and featuring Matthew Lewis (Neville Longbottom). See the full list of winners here. 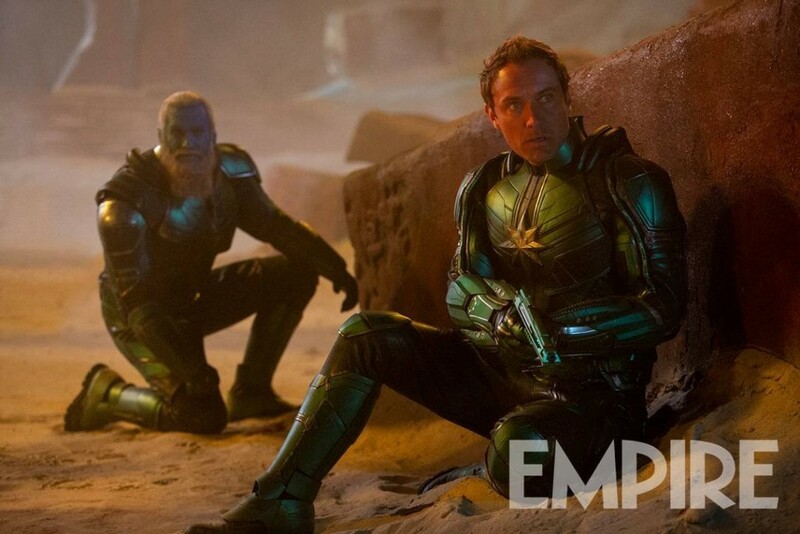 We’re rapidly approaching the March 8th release date of Captain Marvel, and Empire are helping with the long wait by releasing a new look at Jude Law (Albus Dumbledore in Fantastic Beasts), previously named ‘Mar-Vell’ in the film (though his character’s actual name is unknown) and described as a ‘Starforce leader’. His character is shrouded in mystery – he refused to speak at all of his character on The Late Late Show recently, so we’re hoping the surprise is worth waiting for! Take a look at the image from Empire magazine below, and take a look at their subscriber cover of their latest edition, featuring Captain Marvel, here. Christian Coulson (Tom Riddle) will star in upcoming subversive comedy, Bite Me, telling the story of a subculture of people who truly believe they are vampires, and the IRS agent auditing them. The film will debut at Cinequest on March 9th, then tour the U.S. (on The Joyful Vampire Tour of America) for three months and play in independent cinemas in 20-30 cities across the country. 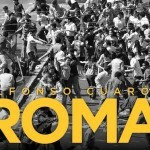 The Bite Me team will also be available to screen the film on request! The tour will be recorded by award winning filmmaker Kiwi Callahan, for distribution as a YouTube doc-series releasing episodes each week. Dame Julie Walters, who Potter fans know best as Mrs. Molly Weasley, stars as a mum who it appears wears a different attitude than the matriarch we know, but perhaps carries the same heavy burden, in the upcoming comedy drama Wild Rose. The film tells the story of a young mother just out of prison, Walter’s daughter, who aspires to leave her home in Glascow and make it big as a country music star in Nashville. 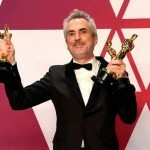 Take a look at the first trailer for the film, which premiered at the Toronto Film Festival and is the opener for the first ever Hebden Bridge Film Festival this March. Wild Rose opens in UK theaters April 12 and in the US on May 10. Finally we get a first look at Ralph Fiennes, Harry Potter’s Lord Voldemort, in his latest directorial effort, The White Crow, the upcoming true story of Russian ballet dancer Rudolf Nureyev’s defection from the Soviet Union which wrapped filming in late 2017. Fiennes plays Nureyev’s dance instructor Alexander Pushkin who took an interest in Nureyev as a teen and allowed him to live with he and his wife while he attended the Vaganova Academy of Russian Ballet in St. Petersburg. Pushkin was a figure in Nureyev’s career until he left the USSR and was one of the individuals requested to help bring him back. The White Crow, which premiered at the Telluride Film Festival last year, will be released March 22, 2019. Fiennes has also recently joined Maggie Gyllenhaal in another yet unnamed film project about the creation of the Farnsworth House, an all glass retreat built outside of Chicago in the late 1940’s. Fiennes will play the architect of the structure, Mies Van Der Rohe, which is now on the National Register of Historic Places. According to Deadline the film is currently in pre-production. The album, which should be confused with the actual soundtrack from the film which was released in December, will be available February 8. 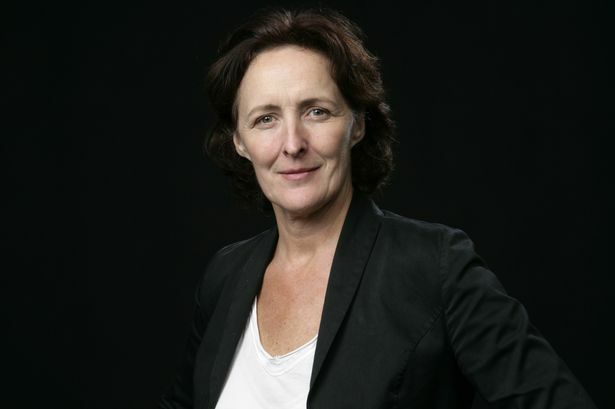 Fiona Shaw, who is recognizable to Potterheads as Harry’s miserable Muggle Aunt Petunia Dursley, has been getting the attention of fans of the award-winning series Killing Eve this past season as MI-6 Head Carolyn Martens. Now Shaw will be seen in another small screen project from creative genius Phoebe Waller-Bridge, when she joins season two of the BBC/Amazon comedy Fleabag. The series, which was adapted from Waller-Bridge’s one woman show by the same name for the 2013 Edinburgh Fringe Festival, will air its second season sometime in 2019. Shaw’s guest starring role in the series is being kept under wraps at this point. That’s all for this week! Be sure to read last week’s round-up here, and our latest theater round-up here.